Golf is a difficult game with lots of rules and many traditions. 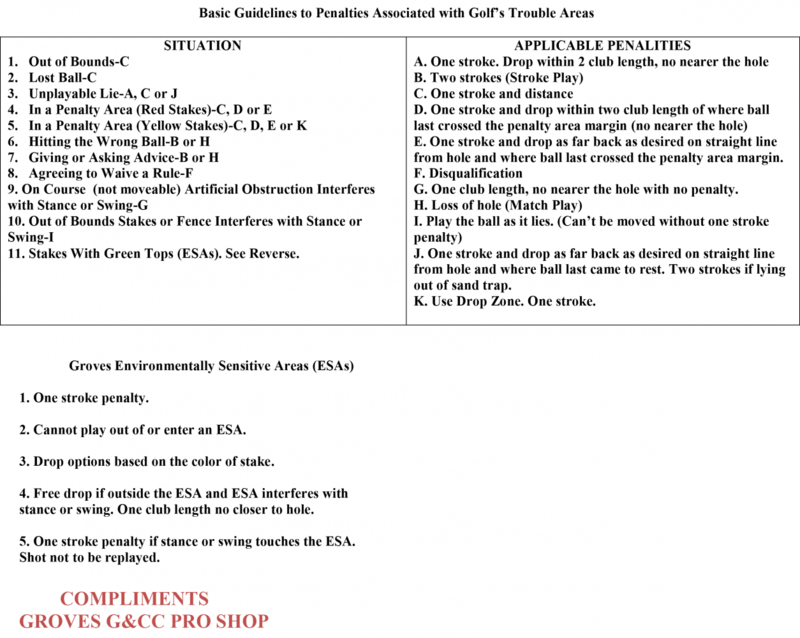 The Groves’ Learning Center presents articles developed or submitted by the Groves’ golfing community intended to simplify the meaning of the rules and highlight things everyone who play our wonderful golf course should know. Who should take golf lessons? Should I take golf lessons? At first glance, this is an easy question to answer; yes you should. Everyone can benefit from some level of golf instruction. What is not so obvious is the best approach to taking lessons and how can lessons best improve your game. Please click to read the full article. Chips shots are short shots played around or near the green. The average golfer may be required to execute the chip shot on over 50% of their holes. So if you are going to lower your score and improve your golf game, being able to execute the chip shot is a must. How can I use the driving range to improve my golf game? How can I best use the aqua range to improve my golf game? A better question would be: how do I make the range workout feel more like a round of golf. We can answer that question, and in doing so, we can greatly improve your time on the range and ultimately improve your golf game. Golfers are often obsessed with the etiquette of the game. 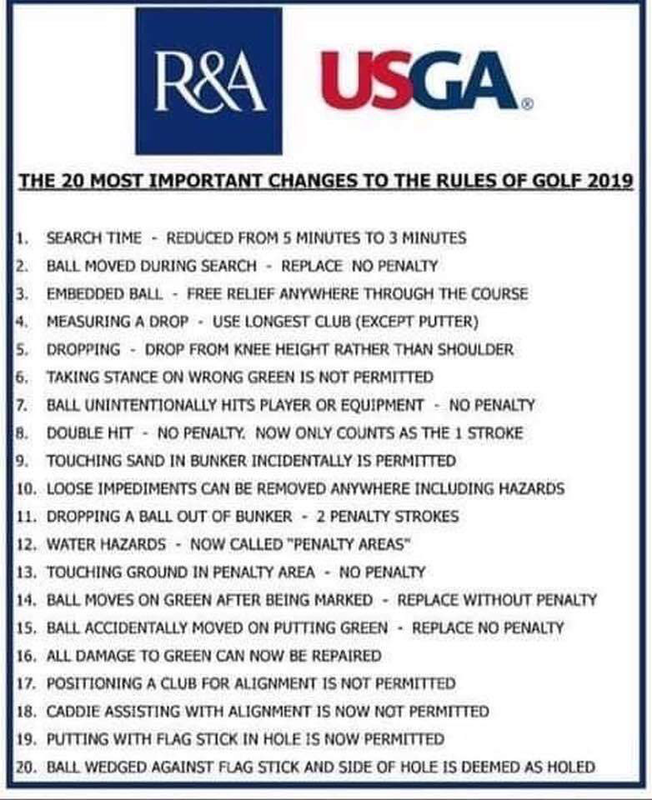 Things like don’t move, watch where you stand, yell “fore”, fix ball marks, rake the sand, play fast, order of play, and no cell phones are but a few things golfers take very seriously. Yet, none have anything to do with how to play golf or the rules of the game. Why does it matter and how does the new player learn all the things expected of them on the golf course? 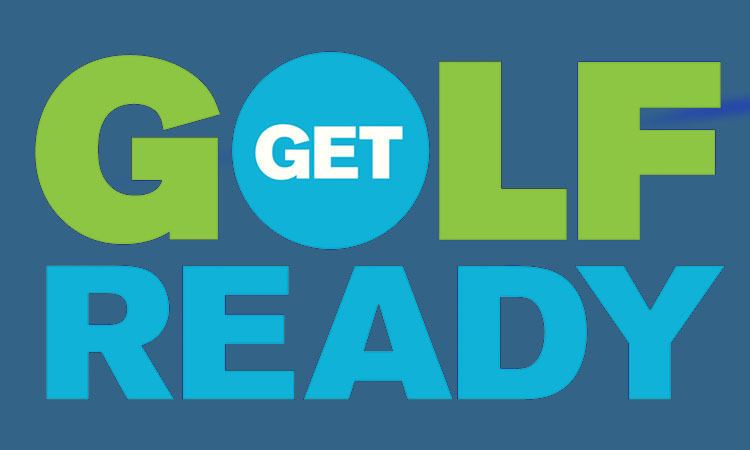 Ready Golf is a great way to speed up a round of golf. It allows golfers to take their swing as each member of their group is ready to play. By playing Ready Golf, four golfers should be able to play our Groves’ golf course in around three hours. Most of us often think it takes too long to play a round of golf. These tips have nothing to do with rushing your play, but rather being ready to play and using common sense and good etiquette on the course. The term “playing through” refers to faster players on the golf course being invited to pass slower players for the purpose of keeping up the pace of play. In general, you should consider letting the golfers behind you play through any time you notice they are always waiting for you to play and there is an open hole in front of you. This article addresses exactly when you should let faster players pass and a good way to accomplish it. I have not been playing golf for very long but I love the game and I only play it for fun. The Groves’ Pro Shop has asked me to write an article for the Newsletter and Learning Center on how I got started and what makes the game so much fun. Their hope is that such an article will encourage other Groves’ residents to start playing this wonderful game. Please click to view the complete article. The scramble is a primary format for golf social and charity events. A scramble is usually played with four players, but 3-person and 2-person scrambles work as well. Handicaps can be applied in a scramble (more details below), but most events at The Groves use gross scores not net scores.